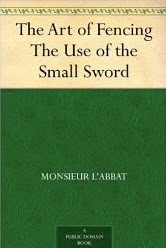 Notes: After recently reading one book on swording, I was in the mood to read another, though this book from 1734 concerns the small sword, a weapon with which I've no particular interest. Still, I figure fencing is fencing in a very broad, general fashion, and I might be able to learn a few things here not only to help my own drills, but perhaps even to help with my writing. Mini review: This would not be a very productive book for the modern swordsman, but for the historian there can be found some interesting topics, especially in the last few chapters which are more general than mechanical (concerning fencing). An author wanting to study historical fencing masters could also learn a few things here, especially how such characters might have written and possibly spoken.